Product Description: The pH of stomach can be disturbed due to alcoholism, smoking, stress, anxiety, spicy foods, irregular eating habits and prolonged ingestion of NSAIDs leading to hyperacidity. 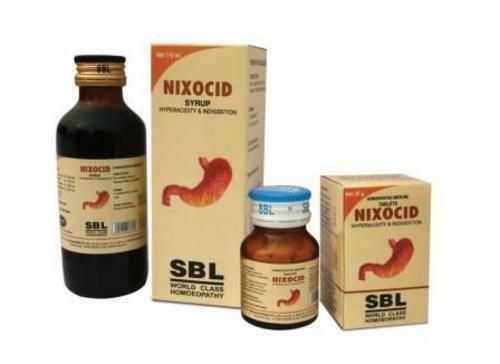 Nixocid, a product of SBL, developed by R&D department, is a blend of well proven drugs of homoeopathic therapeutics. Nixocid relieves hyperacidity and associated symptoms by normalising the pH level of stomach.